The Riverside Boardway, formerly called the "Thames Boardway" is part of the Go Cycle programme, formerly called Mini Holland. This scheme is still at an early "ideas" stage. But the basic concept of floating a cycle way along the Thames between the Bridge and Portsmouth Road is concerning and dividing many residents. Consultations - as of July 2016 the 'Riverside Boardway' was earmarked for a future public consultation. Here are some of the concerns. This should not be about cyclists vs non cyclists. This should be about understanding how this part of the riverside succeeds as a public space, and understanding how the unique qualities of this area contributes to our quality of life. For residents, the Kingston Riverside is a wonderful destination to go to. To take in the river views and unwind, to stroll, eat, drink, to sit and relax, to be calm and to enjoy the sun and the river scene. 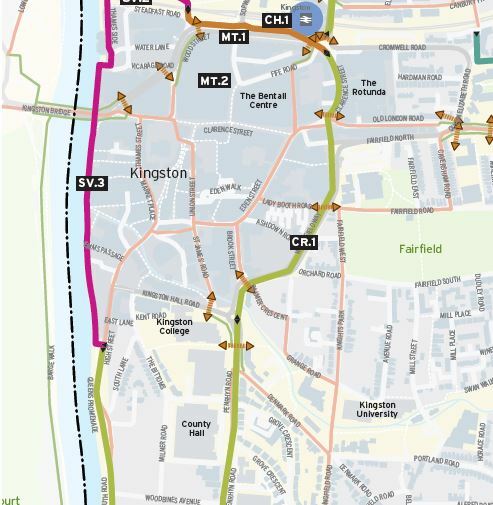 RBK should be developing Kingston Riverside as a destination not as a town centre by-pass for cyclists. No one is going to visit Kingston in order to watch cyclists going by in the river! What will happen when the river is in full flow and the Boardway is flooded? How will RBK keep drunken revelers off the Boardway late at night? Sadly, one or two people drown in the river at Kingston each year and the Boardway will do nothing to improve safety. 3) Unacceptable and unsustainable encroachment into the river. How will it float up and down yet maintain multiple connections with routes into the market place? How will it remain clear of pedestrians for cyclists - duck feeders and people who naturally want to be close to the water? How will slippery water-foul excrement be managed ? Not enough people have been consulted, consultations have not been well publicized, nor have they been effective. Feedback is not being listened to. 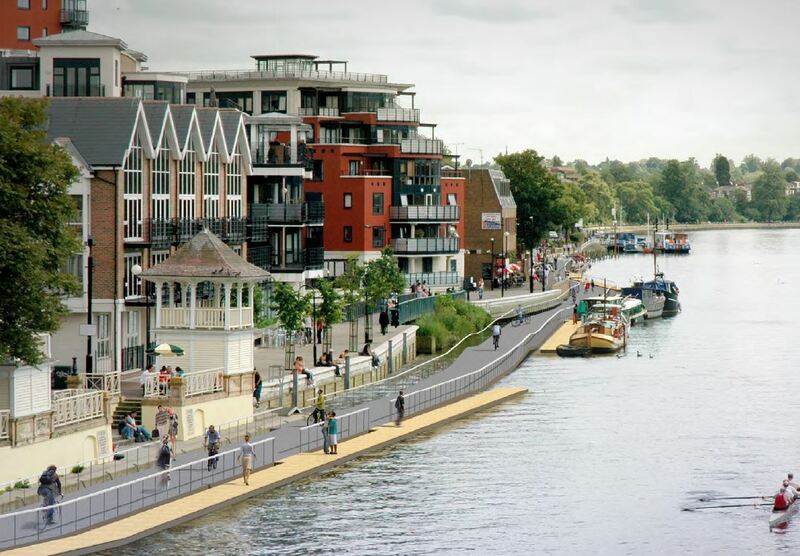 The proposal to put a cycle track in the river at Kingston has been presented as if there is no alternative. This is clearly not the case. Planners should not be mesmerized by an artist impression. Alternatives should and must be explored.